Thermo Fisher Scientific will combine its liquid chromatography-mass spectrometry (LC-MS) instrumentation with NX Prenatal’s NeXosome platform to develop proteomics assays designed to offer noninvasive risk assessments of pregnancy outcomes, through a collaboration whose value was not disclosed. The collaboration aims to develop diagnostics to monitor fetal health in utero and assess the risk of adverse outcomes, including preterm birth and preeclampsia. The companies plan to develop workflows that are intended to improve upon the reliability, accuracy and precision of the few analytical solutions currently available to advance noninvasive risk stratification for adverse pregnancy outcomes, Thermo Fisher said. NX Prenatal’s NeXosome technology is designed to enrich maternal blood samples for circulating microparticles, such as microvesicles or exosomes, that play key roles in mediating and facilitating intercellular communication between tissues of the maternal system and the fetus during pregnancy. 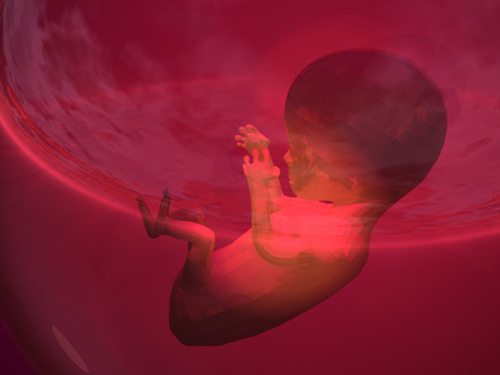 A single placental cell, for example, may shed up to 10,000 of these microparticles each day in order to communicate its status to other cells. Since aberrations in the balance of intracellular communication have been shown to correlate with the likelihood of adverse pregnancy outcomes, NX Prenatal reasons, merging the NeXosome platform with Thermo Fisher LC-MS technology could generate fast, efficient and accurate data for the analysis of exosome-derived proteomic biomarkers—which may lead to increased information about maternal and fetal health during pregnancy, the company said. Analysis of that data has the potential to support obstetrical care decisions in conjunction with traditional clinical assessments, according to Thermo Fisher and NX Prenatal, which initially announced the collaboration on April 5. “Thermo Fisher is a world leader in proteomics, and its liquid chromatography-mass spectrometry (LC-MS) instrumentation is an enabling technology for the new era of personalized medicine,” stated Kevin P. Rosenblatt, MD, PhD, NX Prenatal’s Chief Medical and Scientific Officer. The collaboration comes two months after Thermo Fisher signaled greater interest in noninvasive prenatal testing by exercising warrants it held to acquire a 9% stake in molecular diagnostics developer Yourgene Health. Yourgene, formerly Premaitha Health, is headquartered in Manchester, UK, with additional operations in Singapore and Taiwan. Calculus Capital, an investor in Yourgene, said that Yourgene agreed to exclusively promote its noninvasive prenatal tests in Southeast Asia for three years on Thermo Fisher’s Ion Torrent next-generation sequencing systems. With locations in Louisville, KY, and Houston, privately-held NX Prenatal is planning a U.S. launch for its NeXosome Preterm Birth Risk Assay, which is designed to detect a new library of biomarkers for prenatal risk assessment as early as 10 weeks gestation. The technology may provide physicians an ideal opportunity to intervene in a timely manner with protocols for at-risk pregnancies in an attempt to reduce the likelihood of a preterm birth or minimize the complications that can arise for both the child and the mother, NX Prenatal said. “At NX Prenatal, we are developing novel assays and noninvasive early warning systems to detect subtle molecular changes in the maternal-fetal environment, all with the goal of improving the rate of healthy pregnancy outcomes,” Brohman added.